Here we are in the village’s most renowned day ever! We are here, right in front of fighting ring, where in a few minutes you will be seeing the world’s greatest funny fights ever! We have about two hundred couples participating in the Biggest Funny Fighting Competition and the winning couple will be awarded with a Free World Tour from the government! The ritual lasts for about 2 hours. It is celebrated each year on 14th February, right here on these grounds. For those who are still wondering what a Funny Fight Day is. Here is a quick historical background. Over to Nathaniel (the History Freak)! and the fight continues. Listening the noise outside, all the couples in the neighborhood came outside. Someone said something to defend Grandma. Another voice opposed that. After a few minutes every couple in the street was fighting. Throwing things on each other, shouting, taunting. This fight took over the whole village within a few more minutes. Meanwhile, a kid reported that boiled egg and the egg with vegetables were ready. And they both were equally delicious. Thus the fight came to an end. It was a morning dated, 14th February, some unknown year. Back to the Alice. So, it was Nathaniel. Telling you how did it all begin! Now, after a 5 minutes. The Great fight is going to be started. Every couple has 2 minutes to fight. 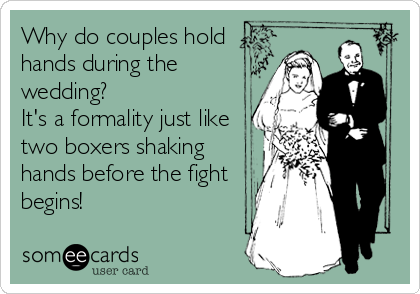 The only rule is you cannot hurt your wife/husband physically and you have to make the fight funny. I am going into the crowd to enjoy! See you in the next bulletin. Until then Chao!